Last April, a group of communications vendors organized a new effort toward interoperability, creating the Unified Communications Interoperability Forum, or UCIF. Interoperability, standards, and openness had become a top concern, a suspected culprit delaying widespread UC adoption. The voice industry has a heritage of vertical, mainframe-style solutions, which seems contrary to the burgeoning ecosystem of unified communications. Microsoft and Polycom sought to solve the problem and spearheaded the formation of the body.The UCIF formed with a focus on multi-vendor standards pertaining to unified communications, specifically to accelerate and broaden UC adoption by improving interoperability between brands, products, and services. The UCIF was established as a self-funded standards organization with the goal of developing profiles and certification and testing programs to facilitate interoperability among UC products and applications.In less than a year, the organization has held several meetings and kicked off three Work Groups (Marketing, Technical, and Test & Certification); three Task Groups (USB Audio, USB Webcam and H.264 Profile); and three Study Groups (Voice, Instant Messaging & Presence, and Provisioning). Membership has grown to 35 vendors including Microsoft, Polycom, Radvision, Siemens Enterprise, Logitech/LifeSize, Alcatel-Lucent, BroadSoft, and HP. The UCIF has not (yet?) attracted many of the traditional voice players, including the two biggest–Cisco and Avaya.I was able to attend the UCIF meeting in Los Angeles last month and met with Microsoft’s Bernard Aboba, who in addition to being the UCIF chairman, is a Principal Architect at Microsoft working on unified communications including Lync (the forthcoming third release of the product now known as Office Communications Server or OCS). He is also a member of the Internet Architecture Board (IAB).Previously, Bernard worked in the Windows Networking group at Microsoft. He is the author of more than 50 IETF RFCs. He joined Microsoft in 1994, originally to lead the development of MSN’s Internet Access business. Prior to joining Microsoft, Bernard worked as an engineering consultant for the RAND Corporation and the University of California, Berkeley. A native of New York and avid baseball fan. 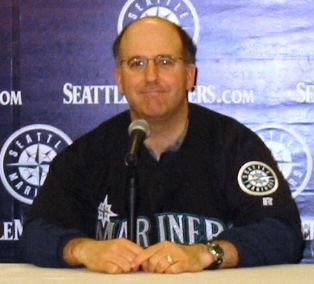 Friends know to look for him first at Microsoft, and then at Cheney Stadium when the Tacoma Rainiers (AAA Minors) play.DM: How exactly did you become the Chairman of the UCIF? BA: During the formative stages of UCIF, I agreed to become Microsoft’s primary Board representative. My motivation came from two experiences. The first was my experience with the development of WiFi Security and the WiFi Alliance (WFA); the second was my experience in working with customers dealing with UC interoperability problems. WFA was able to overcome the major security problems encountered with WEP, based on the work of IEEE 802.11, enabling the industry to enter into a period of rapid growth. It seemed to me that a UC industry effort was needed to overcome the interop problems that were restraining customer investments. Being on the Board lead to me being involved when the original bylaws were drafted and the chair was selected. I probably didn’t realize how much I was signing up for when I agreed to become chair, but part of me wanted to play a part in what promises to be a very exciting decade for UC. I don’t know why the other Board members agreed to me taking on the role–other than this decision, they have generally displayed sound judgment. I hope to do a good enough job that they don’t regret their decision. DM: How will the UCIF be effective? BA: Everywhere you look in UC there are interoperability issues and opportunities for improvement. Customers are not looking for miracles–they are asking for a thoughtful approach to the problem of interoperability as well as concrete and practical steps to make progress. UCIF’s approach has been to focus industry attention on a few key problems at a time, while carefully weighing the next steps.So far, UCIF has spawned three Task Groups, each of which has a well defined problem. In Devices where UCIF has the USB-Audio and USB-Webcam Task Groups, many vendors already run successful test and certification programs, so we have evidence that the problem is solvable. In the H.264 Profile Task Group, vendors are well aware of the financial consequences of shipping hardware that can’t interoperate, so there is motivation to make progress.The issues taken on by the Study Groups are more complex and challenging, but in each case there is an existing body of work to build on, and groups that UCIF can collaborate with. As a result, each Study Group brings to their challenges not only the resources of the UCIF membership, but also those of liaison organizations and customers, who are continually asking, “How can we help?”DM: The UCIF and the SIP Forum made some progress together at the recent meeting in Los Angeles. Can you describe the progress, similarities and differences between these organizations? BA: The SIP Forum has deep expertise in SIP. Many engineers who have had an influence on the development of SIP have at one point been involved in the SIP Forum, and so that is a core strength of SIP Forum that is likely to persist. Although the company membership of SIP Forum and UCIF overlaps to a significant extent, UCIF’s initial Task Groups have focused on devices and video, and this has attracted participation from engineers with expertise in those areas.The cooperation between UCIF and SIP Forum arose from discussions within the UCIF Provisioning and Voice Study Groups. SIP Forum has made some progress recently with the UA-Config and SIPConnect 1.1 Task Groups, efforts that could, with the right follow through, be the foundation for progress on important UC interoperability problems. We’ve agreed to explore the next steps together within the UCIF Provisioning and Voice Study Groups, in which the leadership of the SIP Forum will participate. We will also look at co-sponsoring a Video Interop Workshop, most likely in the Spring 2011 time frame.DM: What outcomes in the UCIF’s first 18 months do you anticipate? BA: By the second quarter of 2012, I would expect that one or more of the Task Groups would have completed their specifications and test plans and that basic aspects of the test and certification program (such as the test vendor RFP and the certification marks plan) would be in place. DM: Which active project or group has the most difficult task in front of them? BA: The Voice Study Group is chartered with developing an interoperability road map for voice. Voice is the most commonly deployed UC service, and the signaling protocols underlying voice (SIP) are also important for the interoperability of other UC modes such as video. As a result, making progress on voice interoperability is a critical challenge for the UC industry. There is a body of existing work, including the SIPconnect 1.1 SIP profile developed by SIP Forum, and SIP test suites developed by organizations such as the University of New Hampshire’s Interoperability Laboratory.So the Voice Study Group isn’t starting from scratch. However, conventional approaches (such as bi-lateral testing and face-to-face interoperability test events) haven’t delivered multi-lateral interoperability. To enable this, the Voice Study Group will need to think out of the box, examining innovative approaches that can dramatically improve the productivity of the interoperability investments that vendors are already making. Achieving that is going to be challenging.DM: Three big missing seats at the UCIF belong to Cisco, Avaya, and Skype–can the UCIF be effective without these companies? BA: UCIF has a broad mission which ranges from certification of devices which might fit in the palm of your hand all the way up to room-scale systems. This spans a wide range of industry niches, each with their own ecosystems. So to evaluate potential effectiveness, you have to look at each effort individually. At the moment, UCIF has three Task Groups, in the areas of Devices (USB Audio and USB Webcam) and video (H.264 profile) and in each one we have convinced a broad cross-section of the industry to participate. More and more companies are signing up, and at least one Task Group has 40+ members. So at least for those groups, the problem is probably less about “critical mass” than achieving consensus.That’s not to say that participation from additional companies wouldn’t be welcome, but the biggest challenge for UCIF isn’t recruiting more members, it’s finding a common path to interoperability through the dense protocol thicket that covers the UC landscape.DM: With Cisco and Polycom dabbling in living room systems–does the UCIF need consumer brand vendors to drive business to home interoperability? BA: In chartering a Task Group, “critical mass” is always an important consideration. The question is whether the distinction between consumer and enterprise UC will be a lasting one. The protocols and components used in consumer UC will inevitably overlap with those adopted in enterprise, if only because one company’s consumer is another company’s employee or vendor or partner. With the “consumerization of IT”, vendors popular with consumers will inevitably exert influence over other segments of the UC industry. DM: Is the UCIF a political or technical body? BA: The day-to-day work of UCIF’s Task and Study Groups is highly technical. At the Board level, we are responsible for managing the organization, which includes financial and legal aspects, which can be complex. So far, the members of the Board have focused on what is in the best interests of UCIF and the industry rather than what might benefit their individual companies. While we might have our individual opinions, the atmosphere so far has been respectful and cooperative, and I’m grateful for that. So while the Board is by its nature a “layer 9” body, we’ve been successful in keeping that focus within the Board and letting the rest of the organization focus on technical issues. DM: Who is driving UCIF Interoperability? The vendors or the customers? BA: At work, I spend considerable time in front of customers, understanding their concerns about our product as well as the state of the industry. Over the last year, customers have become more and more forceful in their concerns about the direction of the UC industry. This has escalated beyond conversations about interop programs and deployment blockers to a more general concern about whether the UC industry will deliver an interoperable future. Customers see Unified Communications reaching a mass market. Yet they don’t see vendors stepping up to the responsibilities this implies, and it makes them nervous about whether their investments will be protected. Many are skeptical whether the talk about interoperability will deliver meaningful results, and rightfully so. The ranks of the concerned include enterprise customers of all sizes, as well as government agencies (including regulators), so the UC industry would do well to listen, understand and act. DM: Microsoft has several employees active on UCIF projects associated with video, but Microsoft’s video solutions are fairly few when compared to many other members. Why is Microsoft so concerned about video interoperability? BA:Video is one of the least mature of the UC modes with respect to interoperability. With voice there are many issues but the protocol framework (SIP) is in place and there are concrete programs in the works (e.g. SIPConnect 1.1 and SIPIt). With Instant Messaging & Presence we have had interop tests and the protocols have been specified (SIMPLE and XMPP). However, with video there are many fundamental questions yet to be decided, from Codecs (e.g. H.264 vs. VP8) to signaling protocols (H.323, SIP and XMPP/Jingle) to even endpoint identification (email-style URIs vs. E.164 numbers). Not only are there details to work on, but the interoperability roadmap is unclear. DM: I understand that some of the organization’s bylaws are being questioned and will likely be modified, can you elaborate? DM: Microsoft is not a market share leader in voice or video, yet through you, it heads the UCIF. How is this justified? BA: The UCIF Board includes senior executives from the member companies, some of whom are industry legends. And then there is me. I can’t claim to compare to my colleagues on the Board in terms of industry experience, musical talent, athletic ability, sartorial splendor or good looks. Since I serve at the pleasure of the Board, I have to assume that they are willing to overlook my deficiencies, at least for the moment.